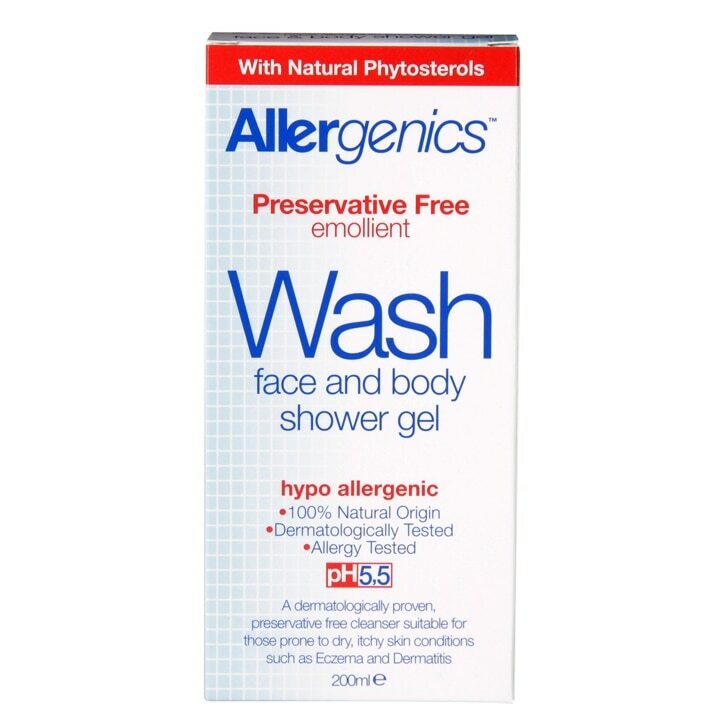 Allergenics Shower Gel is gentle and effective, cleansing without harshness. It doesn't contain any soap or strong detergents, so won't strip your sensitive skin of its natural protective oils. Instead it will wash and refresh, leaving you feeling clean with supple skin. No dryness, tightness or itching. Allergenics have carefully avoided the most common triggers of allergic reactions and skin irritants, making this the perfect all-over body wash for anyone prone to dry, itchy skin. Apply gel to the face and body and rinse well with warm water or as recommended by your healthcare practitioner. Aloe Barbadensis leaf juice, Aqua, Decyl Glucoside, Glycerin, Sodium Lauryl Sulfoacetate (Coconut Oil), Disodium Cocoamphodiacetate (from coconut), Brassica Campestris (Rapeseed) Sterols, Hydroxyethylcellulose, Capryloyl Glycine, Glyceryl Caprylate, Xanthan Gum, Aroma (natural essential oils), Borage Officinalis (Borage) Seed Oil, Panthenol, Bisabolol, Sodium Hydroxide, Citric Acid. Allergenics Wash Shower Gel is rated 4.8 out of 5 by 16. Rated 4 out of 5 by Madz06 from Great shower gel Great body wash for my little girls skin worked wonders for her allergy. Rated 5 out of 5 by cail from Great for Sensitive Skin I have recently developed an allergic reaction to my usual toiletries a few months ago. I just kept getting rashes to anything I used. I tried this after reading a few reviews and is just what I needed. I was a bit skeptical at first due to the ingredients, but it works miracles and I no longer get rashes!